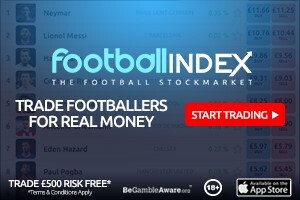 Here’s our fantasy premier league tips forwards GW24 article in our player rankings series. There’s a table of stats to help you make your transfer choice. I’ve generally started with a selection of forwards that I think will start GW24 and have some longevity in the team. Geek – we are all dying to know what the pros are going to do before the 25 eve city double and if you are starting with the transfers now. 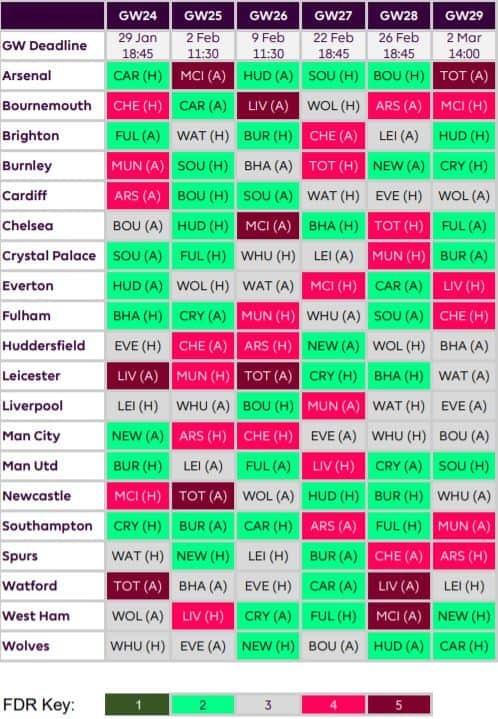 My gut is you all bring in two city and then start swapping everton (or city/che) out right after for 27. Is there a plethora of articles coming later today or tomorrow? Is ederson’s secure gametime worth a swap if all you have is etheridge. However, can they even keep a cleansheet against wolves/gunners? Sane if Mendy is fit, as per the update today? Aguero as per the scout? Isnt Jesus on fire too? Well I may not be a pro but im thinking of carrying over a ft and then next gw either Sane in for Richarlison and Sterling in for Hazard…or Sane in for Richarlison and Laporte in for Digne. Laporte and Ederson are really the only players who will definitely play 90 mins in both games. I am making sure I have one of those. That’s my only definite at the moment. I will gamble on another (Sane, Sterling, Aguero or Jesus) but not sure which yet. I was planning a transfer of getting rid of Wilson for Auba before the city double GW was confirmed. I already have Sane, but doubling up with Aguero is another option. City have newcastle, arsenal, everton and chelsea in short order. I believe Aguero will start arsenal and chelsea, but highly doubt he we start 3 games and cannot see him starting all 4. Still leaning towards Auba, but was wondering if anyone thinks kun may be worth the risk. Side note: Doesnt Aguero DESTROY Newcastle historically? I have been hmmming and haaahing all day on my two ft up until 27. Aguero or Sane/KDB is the main flip flop I was stuck on. I did a lot of work on what my lineups would look like 24, 25, 26, 27.. that is where it hit me. 27 is a nightmare. Not just because of the blanks. LFC plays Man U and that is 6 players on most of our squads with bad fixtures. Likely 2 or 3 Blanks on the bench out of richarlidson, digne, city, city that arent swapped with the two ft from 25 and 26 leading up. The most important realization was this though: Auba is the ONLY decent premium captain choice that week in all of FPL (you could argue tot but two ugly fixtures follow so I am not wasting a ft on son, etc. there). So the decision between Aguero and a premium city Mid is Aguero because he can be the first blank 27 asset to go. In wk 26 as a matter of fact to avoid chelsea and let the Auba 3 plum fixture party begin immediately. Phew. I can finally go to sleep. Aguero in tomorrow morning (after I read the ff geek articles of course!). Well I have brought in Auba this week. I have Laporte and Richarlison for the DGW25. And my plan is to swap Auba out again for Aguero in GW26 as more of a shield play than anything else. I will then bring Auba back for those 3 plum fixtures. ** swap Auba out for Aguero GW25 that should read.